Here are some pictures of female pro wrestlers, K.C. Houston and Monster Ripper. K.C. 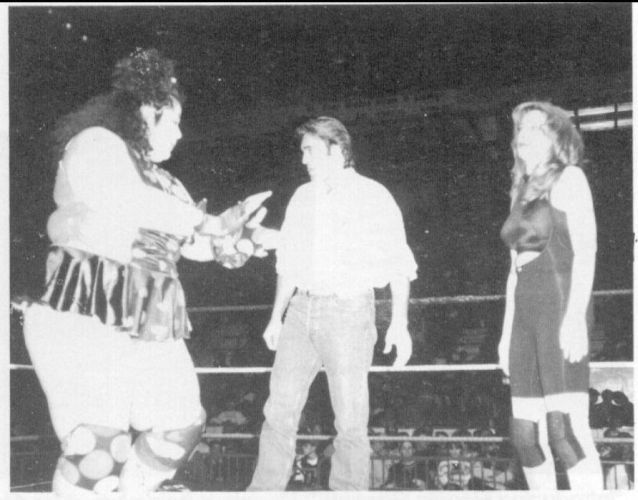 Houston (Kathy Stockton) started out in 1986 and was popular on the indy circuit in Canada. 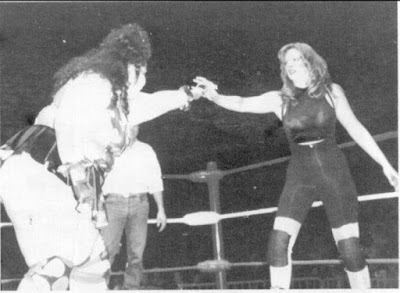 She had a lot of "firsts" there, wrestling in the first ever Women’s Strap match in Canada (with Desiree Petersen) and the first ever Women’s Steel Cage match in Canada (with Monster Ripper). Monster Ripper (Rhonda Sing) was also known as Beef and Bertha Faye. 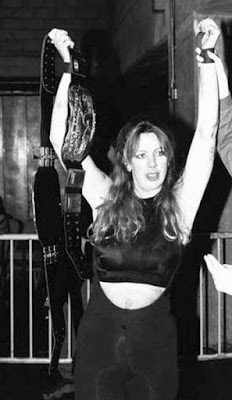 She wrestled for All Japan Women (AJW), Stampede Wrestling, World Wrestling Council (WWC), the WWF/WWE and WCW. Rhonda passed away from a heart attack in 2001 at the age of 40.